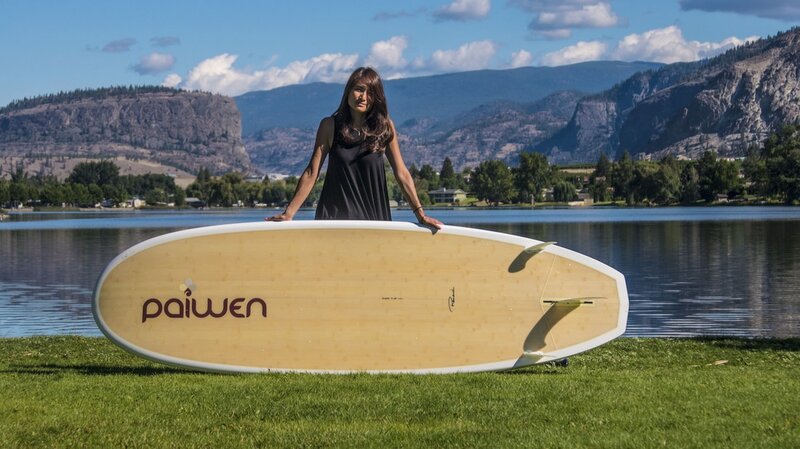 Why does Paiwen focus on Women Stand Up Paddleboarders? Our mission is to be recognized as the worlds first Women’s Only Stand Up Paddleboard Brand focusing only on women's needs, body types and style. Paiwen Board Sport Inc. was founded in 2009 and is run by women and a couple guys :) Our main office is located in the beautiful Vancouver, BC, Canada. Surrounded by the ocean, lakes and mountains. SUPing is a relatively new sport and women are taking it up by storm. However most companies haven’t been designing for women SUPers in mind from the beginning. We started Paiwen Stand Up Paddleboards knowing that women are who we want to cater to from the beginning and forever. This gives us the opportunity to pin-point our effort to the needs of women. Their body types, riding practices and even styles are our focus. At the same time, we are on an adventure to promote the sport to women all over the world by traveling, meeting up with paddleboarders, taking photos and creating videos. Encouraging a healthy lifestyle through Stand Up Paddleboarding.